At Baker Real Estate Incorporated, we’re excited to represent Solmar Development Corp.’s new condominium community, Park Avenue Place. 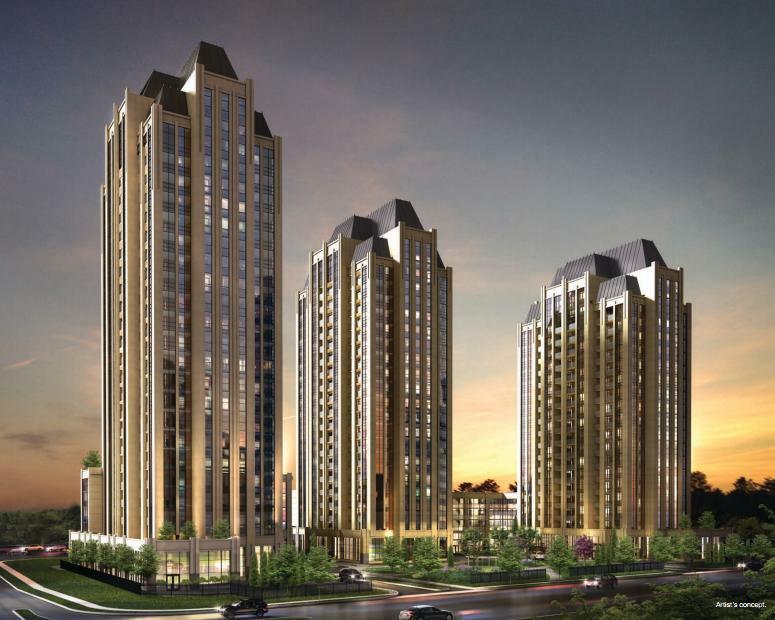 Coming soon to the southeast corner of Jane Street and Rutherford Road, this three-tower residence is adjacent to the incredible Vaughan Mills, one of Canada’s largest shopping centres. Imagine being able to walk to leading fashion and lifestyle brands, a multitude of restaurants and services, and unique venues such as Bass Pro Shops Outdoor World and LEGOLAND Discovery Centre. Talk about something for everyone in the family! Registrations are pouring in for the first phase of Park Avenue Place, which is also blocks from schools (including York University), the new subway extension, Canada’s Wonderland and a new hospital being built just north of that. Highway 400, VIVA and GO Transit are all easily accessible, making this a convenient spot for commuters. And for those who love to poke around interesting little boutiques, the Village of Kleinburg is a little farther north. Solmar has pulled out all the stops to create a stunning modern building that will feature 24-hour concierge service in an inviting lobby with polished marble flooring and a marble fireplace. Residents can entertain in the party room with its bar/lounge, have fun and relax in the games and reading rooms, work out in the fitness centre and house overnight company in the guest suite. A favourite spot is sure to be the outdoor landscaped terrace with a fire pit, comfortable seating and great views. The list of luxurious suite standards is truly impressive, beginning with 9- and 10-foot smooth ceiling heights, and premium laminate, porcelain and ceramic flooring. For the cook in the family, signature kitchens will come with a four-piece European Miele appliance package, quartz countertops and ceramic or glass backsplash. Oh, and add spa-inspired bathrooms to the features list, too. With prices beginning from $296,900 for one- and two-bedroom suites from 648 to 2,162 square feet, the value is amazing. All of this is brought to you by Solmar, which has been building quality single-family and condominium communities, as well as outstanding commercial properties, across the GTA for more than 25 years. Like all Solmar communities, Park Avenue Place will offer timeless elegance in an exceptional location, and we anticipate brisk sales. For condominium convenience minus the hassles of living in downtown Toronto, get on the Priority Registration list now at www.parkavenueplace.ca.